This candle was sent free for reviewing purposes from Sanari Candle. 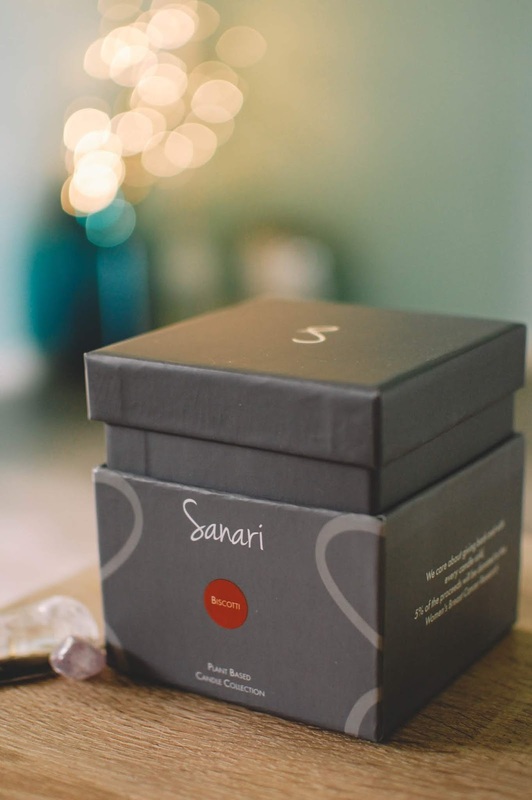 Sanari is a California based candle company that sets itself apart by being fully plant based from wax to wick and even ensures fair trade procurement of ingredients as well as donates to breast cancer research. The wax is fragranced with 100% organic, natural and Kosher essential oils. The wax itself is a blend of 100% organic coconut and non-GMO soy wax. The wicks are 100% unbleached cotton. This is without a doubt a candle for those who are health conscious. Rebecca Aghalarpour, the founder of Sanari Candle, turned to plant based materials due to her own personal history with breast cancer. As a candle lover she did not want to miss the joy and ambience a candle can bring to a home. 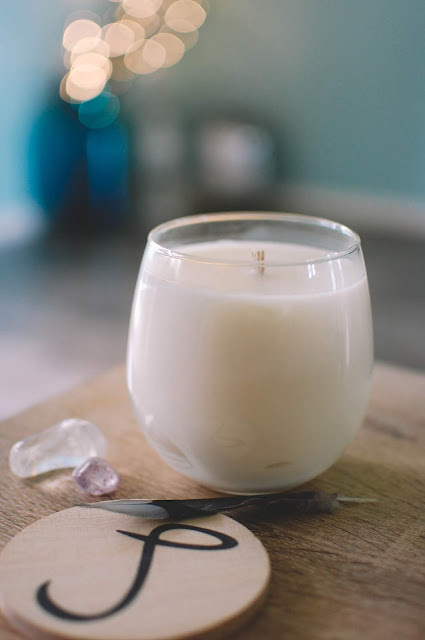 She contacted me about featuring one of her candles here on the blog and I was excited to do so. The candle arrived housed in a sturdy gray box that is wonderful for gift giving. You know something special is inside when you see it. The box did come packaged well, wrapped in branded tissue paper, which was a nice touch. There are three scent categories, which hold several different aromas within each one: floral fruit, citrus herbal and spicy wood. Biscotti arrived from the spicy wood category. It is 16 ounces and $44 with a burn time of 80 + hours. 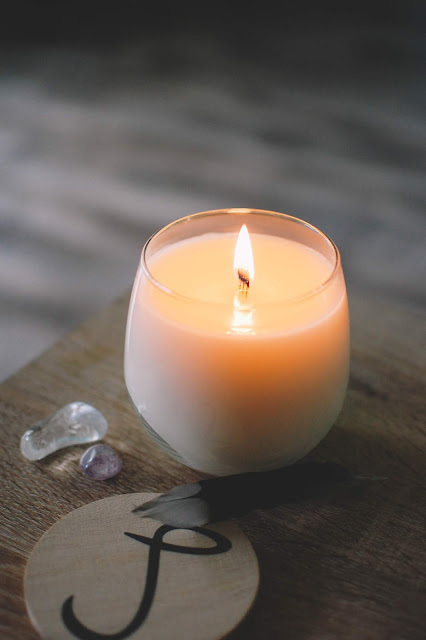 The 8.5 ounce candle runs $32 for a 45+ hour burn time. It comes in a glass jar, that is recommended to become a wine glass after its life as a candle, with a wooden lid. Biscotti- Notes: Vanilla bean, nutmeg, cinnamon. Biscotti is a lovely scent. I don't get overt bakery tones but that vanilla is rich and slightly tonka leaning while the spices are gauzy and light, just adding a silver of their wooden tones. This does have a dulcet sweetness that fluffs up the vanilla and makes it extra cozy. The wick burned strong, the wax pooled evenly with no tunneling and the throw was medium-light in the large cathedral ceiling living room and medium in the bedroom. Just the right amount of scent that I would get wafts of as I was going about my day. A subtle reminder that I had a nice candle burning in the house. What essential oil candle would you like to try? 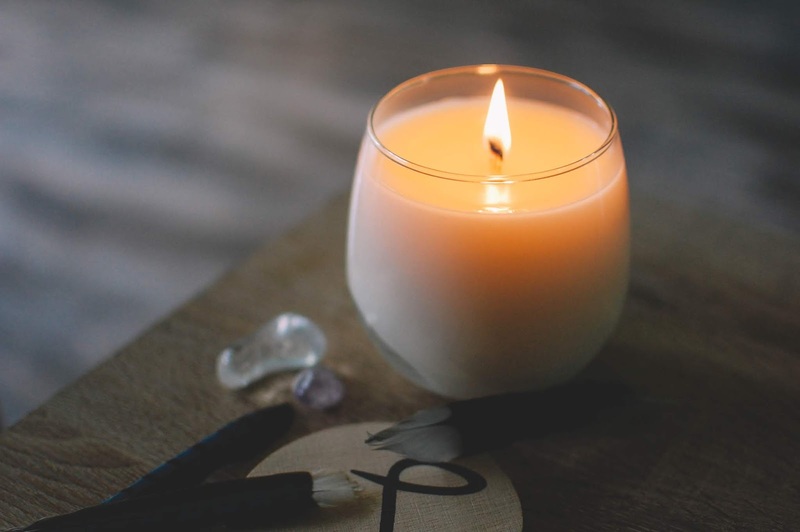 Do you every worry about the healthiness of your candles? Very pretty candle and packaging! Thank you for reviewing a coconut based candle; I've been noticing coconut based candles and wax popping up around the place lately. I haven't looked too into them, but am definitely intrigued at performance especially. I definitely do take into account the healthiness of candles, wax, incense, room spray, etc. that I use in the home. I have allergies and asthma so I didn't really scent my home for a very long time to avoid irritation. I do notice when I melt paraffin scented wax for too long a duration my throat becomes sore, my voice hoarse. I try to keep my usage to a minimum. I want to enjoy my scents without having an adverse reaction to my health. It is a shame that paraffin is touted as being unhealthy as it tends to be the best thrower. My favorite wax of all time is CFTKR and of course it is 100% paraffin. Boo. I do find myself appreciating all natural home and personal fragrance options more and more. I definitely won't stop buying and using paraffin or fragrance oil products, but I find I'm starting to gravitate back to more "natural" essential oil based products.